Our tile showroom, based in North West London is home to our extensive collection of tiles to suit all purposes, tastes and budgets. We welcome both trade and retail customers, and our design consultants are on hand to discuss your specific bathroom or kitchen, internal or external tile needs 7 days a week. We certainly look forward to discussing requirements and options with you and to showing you real product samples to help you to make up your mind. 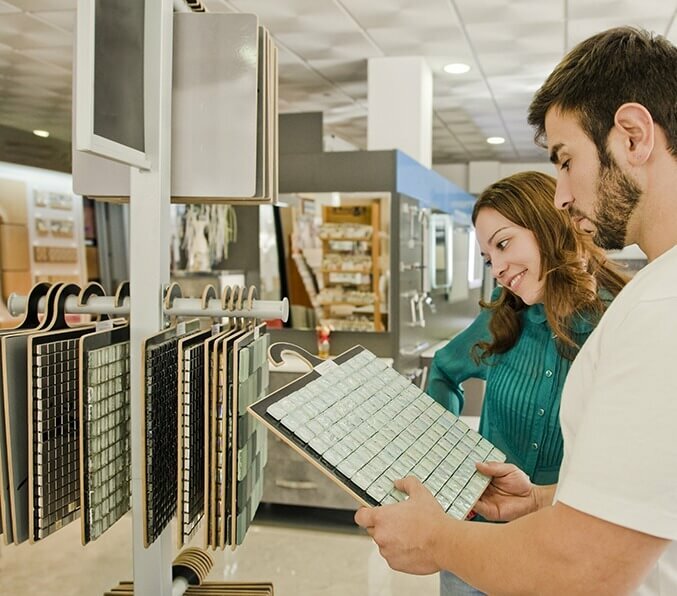 Visiting our showroom will allow you to see all of our extensive tile ranges in each material, colour and style, and will certainly give your the opportunity to make the best choice for your home or next project.